Guy has found that the most confident horses he has ever been around are the ranch horses that were used day in day out on the ranches and stations. These were horses that were ridden miles each day. Would patiently stand whilst fences were fixed that would speed up, cut and hold a cow and would stand steady as ropes were swung and thrown. This clinic aims to replicate some of those activities and in doing so achieve some of the same results in our horses. 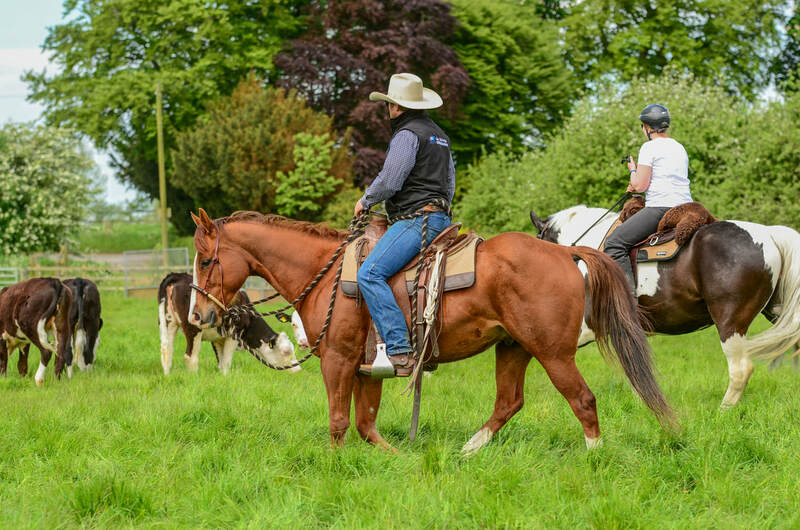 During this clinic you will learn to rope on the ground and horseback, Cut using the mechanical cutting flag, rope and track a dummy, tackle obstacles and work through some of the body control exercises need to perform the tasks at hand. Not only is this a fantastic clinic for gaining and developing confidence and building your partnership but it’s also a whole lot of fun. 9.30 – 10.00 – Meet and Greet: Tea/coffee, Q&A, Introductions. Introduction to roping on the ground.